SleepyMe provides beautiful and quality bedding for children and adults. We provide a range of material and price, making it affordable for all. We continuously renew our collection, so there is always something new for our customers to choose from. 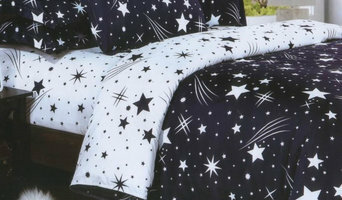 We also provide custom size bedding, made to measure for any size. Please contact us at mesleepyme@gmail.com for any custom made requirement. We are a local company experienced in the manufacture and retail of quality home and bedding products. We are the sole licensee of Paul Frank home linen products in Singapore and Malaysia. Harvey Norman @ Millenia Walk No 9 Raffles, Boulevard, Millenia Walk, Level 3johor039596. DJ&CO Lifestyle by MOCOF focuses on Space-Saving Urban Furniture and Design since 2012. We created the home brand, SPAZE Furniture for your flexible living in small spaces. As a Malaysia's leading company specialize in space-saving furniture, we make our own SPAZE and deliver it directly to you, worldwide. Without middleman, we strive to deliver the best quality furniture for your money via a single, fair and honest pricing. Linge De Miel understands that need and pride ourselves with smooth relaxing bedding. We only choose the best material and great design to make sure you and your love one enjoy it as much as we do. In order to produce something exceptional, we put ourselves in the shoes of the consumers. Not only do we listen to their wants and needs, we materialise them. 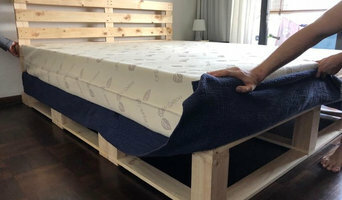 Making mattresses you want to sleep on! With our experience and knowledge gained in the mattress industry, we source, test and put every single component together with passion focusing on providing the best quality product at the most reasonable prices! Enjoy the GREEN WAY TO SLEEP. dormiente is a one-stop bedding specialist of high quality organic natural latex mattresses, orthopaedic sleeping systems and solid wood beds. Handcrafted in Germany in a sustainable way using natural and certified raw materials to enable you to sleep greener & healthier. Abode & Co is all about the home. Our aim is to inspire you and bring you an exclusive collection of gorgeous bed + bath + body + baby products that help make your abode (meaning a place of residence; a house or home) feel special, unique and your own. Abode and Co is created by a team of designers who all posses an unrelenting passion for creating beautiful homes through beautiful and unique products. Premium latex mattresses and bed accessories made in Belgium. Every product we design aims to be long-lasting and ultimately enable an optimum rest. Purolatex is a premium Latex brand in Singapore with all products made in Italy. Your home is your pride and joy. It encapsulates your essence and style. At Sash Emporium we have carefully handpicked the finest selection of home products all under one roof. We always put quality and comfort at the top of our list. We also value the aesthetic ambience that our products can give your home and that is why we make sure it looks good! Be it bed linen for the bedroom, towels for the bathroom, tatami for the living room, home accessories for all the other places in the home, we invite you to our online store for an exciting array of home products. Having been through the hassles of bedding shopping, troubles you go through and the premiums you pay does not necessary equates to premium quality and a good night’s sleep. That’s why we founded BeddingAffairs to bring convenience, quality and most importantly, a price-tag you can be assure of sleeping on to the very doorstep of your bedrooms. At BeddingAffairs, we stick to 3 simple words which forms the basis of our corporate beliefs: Trends. Comfort. Moods. It is our assurance that you’ll find all 3 with us. Here with us, you’ll find the best products at even better prices. Because we choose the lives we want to live in the day, we should be able to choose the kind of nights we wish to rest in. We strive to empower you to do just that. Professionals from showrooms and bathroom suppliers will be able to advise you on the best sort of materials to go for with your bed and bath textiles. If you want softer than soft, go for high thread count cotton, like Egyptian cotton, or instead the gentle jersey cotton, but if you are after crisp and clean lines, white linen is the way to go. Bathroom suppliers in will be able to offer a range of unique linen colours and patterns that high street stores won’t be able to offer, so you’re sure to find bed linen to fit with the colour scheme and style of your room. You don’t have to stick to updating just your towels in the bathroom. With Houzz you can find bathroom accessory retailers, bathroom suppliers or boutique bathroom showrooms in Singapore that will stock all sorts of accessories, storage items and other soft furnishings for the bathroom. You may be able to find a professional that can help you design or install stylish bathroom storage solutions to make the most of a smaller bathroom.